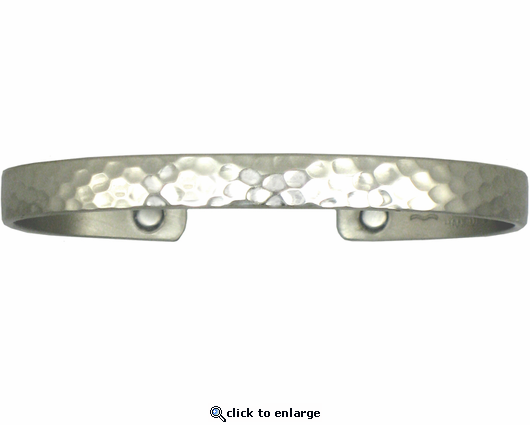 This magnetic therapy bracelet which Sergio calls Textured Silver was inspired by the earliest known metal jewelry making method, when metal was hammered with a hard rock. It is made from about 65% copper and has two rare earth magnets. No plating is used and it is Made in USA.